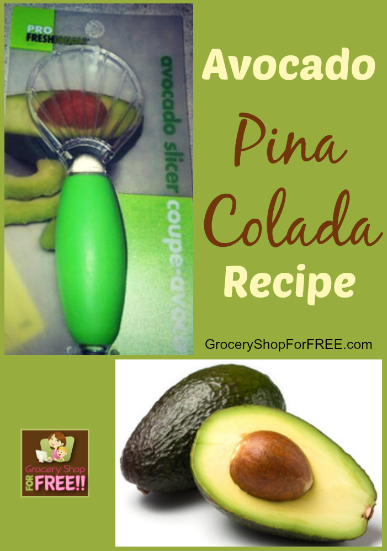 You are here: Home / Recipes / Beverage / Avocado Pina Colada Recipe! 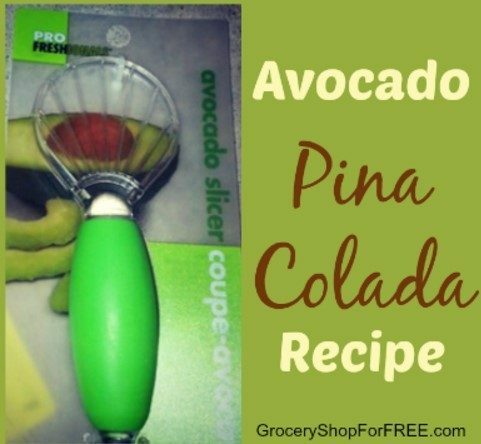 I am excited about this new Avocado Slicer I got from Good Cook! I eat Avocado every day – I have mentioned before that it is one of my weight loss tools! I love the taste, too! So, I decided to whip up some of my favorite Avocado Pina Colada’s! Put the ice in the blender add the other ingredients and blend to the desired consistency and serve! Simple, easy and delicious! I LOVE this drink! I would have to say that a Hershey bar with Almonds is my favorite product from General Mills and Hershey’s. I love avocado, turkey, bacon and tomato on whole wheat bread ~ yummy sandwich! I am a member of the Grocery Shop for Free facebook group. I like Grocery Shop for Free on Facebook. My favorite way to eat avocados is in guacamole! Guacamole is my absolute favorite way to enjoy avocado, though I like to experiment with new recipes as well. Avocado pudding is pretty good! I follow goodcook on twitter.